This guide will help you understand more about Ripple and how its future is predicted. It will also show you how Ripple has grown over the past few years, expert opinions on the future of Ripple, and how to form your own Ripple price prediction. Before we get into the Ripple predictions, you should know that they should not be taken as financial advice. You need to do some more research before investing in Ripple. You should only invest money you can afford to lose. The next section will outline what Ripple is and help to introduce the differences and similarities Ripple shares with other cryptocurrencies (and what this means when predicting Ripple prices), so let’s get started! 2 How has Ripple Grown Since it Began? 4 What is the Ripple Price Prediction 2019? 5 Is Ripple a Good or Bad Investment? 5.2 What’s Bad About Ripple? Ripple is two things: a cryptocurrency (known as XRP) and a cross-border open payment system for banks. The company was founded in 2012 and has grown into a huge player in the crypto market! It was founded to help solve a big problem. This problem was about cross-border payments (how money is transferred from one country to another). The best thing about Ripple is the fact it is already being used! So this, of course, has huge affect on the Ripple price prediction. It has partnerships with large global banks that are testing Ripple’s technology. These include Santander, MoneyGram, Amex and Western Union. Transaction times for Ripple are very quick and the fees are much cheaper than other major cryptocurrencies, like Bitcoin or Ethereum. The main thing that makes Ripple unique, though, is the fact that all Ripple coins (XRPs) were released at once. The thing that makes Ripple extremely different to most other cryptocurrencies is the fact Ripple Labs (the company behind Ripple) own most of the XRP coins. Yes, you heard that right — Ripple has a total supply of just under 100 billion coins, and Ripple Labs own 50 billion of them. Some investors think this is a bad thing, some think it’s a good thing. Either way, if you want to know how much that amounts to in dollars: a single XRP (Ripple coin) is around $0.68 today (16/03/18). If you’d rather not do the maths yourself, that’s 34 billion dollars’ worth of XRP sitting in the pockets of Ripple Labs. Now, let’s move on and look at how Ripple has performed in the past and how it affects the Ripple price prediction itself. This is the first step in predicting the future of Ripple. See our What is Ripple guide for more information. How has Ripple Grown Since it Began? 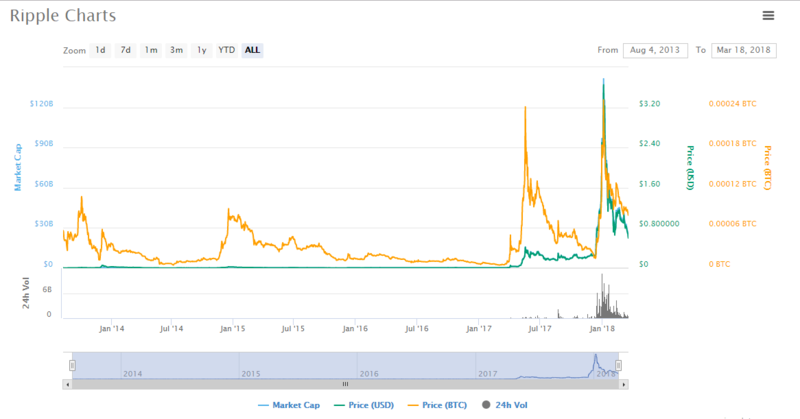 The XRP price increased massively in the past year which has a positive outcome in the Ripple price prediction. A lot of people argue that this growth is because Ripple has built a worldwide network, across 100 countries with nearly 200 corporate partnerships. The usage of XRP by Standard Chartered to American Express has helped to ‘push’ up the value. CoinMarketCap data shows that the first public day of trading on August 4th, 2013, saw XRP close at $0.005882 (this is what the coin finished on its very first day of trading). By March 16th, 2018, XRP was at $0.697269 (That’s an 11,752.28% increase!). During this five-year period, the highest point was December/January 2018, before the Great Correction (a market event that caused hundreds of billions to be wiped off the global crypto market), XRP rose to $3.23 before falling to the current value. Predicting crypto prices is an incredibly difficult task. Especially at present — with the market changing so much every day, it is hard to form a Ripple price prediction for 2019. The Economy Forecast Agency predicts Ripple’s value could fall further – due to technology partnerships not fulfilling promise (which is a polite way of saying Ripple’s products are useless and that banks will stop using them). They say that Ripple could fall to $0.17 by December 31st, 2019. Ripple Coin News, the web’s second largest Ripple news site by traffic, argues that 2019 could be a smooth year for the company. They say that new partnerships, new technologies, and a strong performance could see XRP touch $7 dollars. The Daily Express, a UK tabloid newspaper, believes XRP could skyrocket in 2019 with an XRP token price of $5.06 by December 31st, 2019! Metro, the UK’s biggest newspaper, believes Ripple could fall, to $0.22-28. They base this on the fact that Bitcoin will continue to dominate the Millennial mindset and reach the $20,000 price point. This could help push down Ripple and other altcoins. ValueWalk, a crypto research service, believes Ripple needs to move beyond having banks test out their products. Instead, they say that Ripple needs to become a real partner with a banking group. This, they believe, could help push Ripple’s value to the $10 mark. However, if they don’t succeed with all these partnerships and fail to make any real impact, the XRP token price could fall below the $0.50 mark. Ripple has a big year ahead. 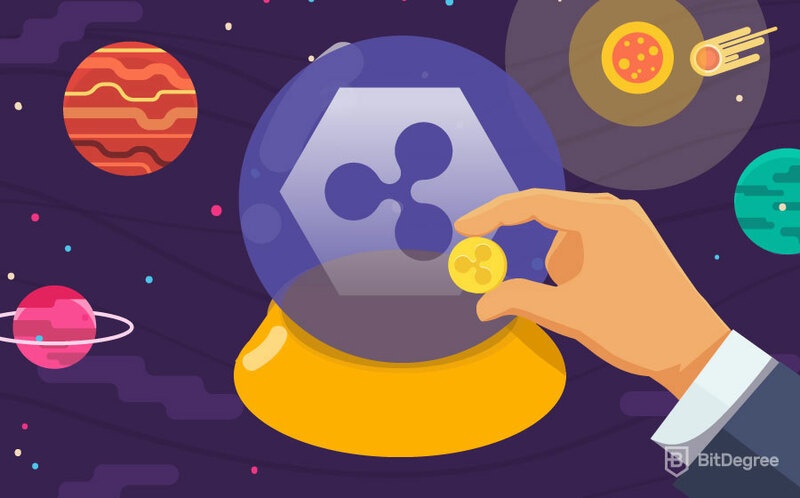 Most of the predictions suggest Ripple’s value will grow in 2019. However, some experts believe big events and a failure to make their payment technology work for banks could result in a major price decline. The next section will evaluate my own price prediction thoughts, and how you can make your own prediction, too. What is the Ripple Price Prediction 2019? Events are what will push Ripple’s price up or down, and the company has already announced a great deal that may have a positive affect on the Ripple price prediction 2019. To form our own opinion, let’s look at reasons the Ripple price may go up or down this year. To be honest, the news that has been coming out for Ripple does seem positive. In 2018, Santander announced that it will use Ripple’s blockchain for a payment app (to be launched in Spain, Ireland, and the UK first) that will be based on Ripple’s payment processing technology. Another development is the news that Japanese domestic banks will use Ripple to power a new on-demand domestic money transfer payment system. MoneyTap, which has three big partners (SBI Net Sumishin Bank, Suruga Bank and Resona Bank) are partnering with Ripple to help improve domestic bank transfer payments. 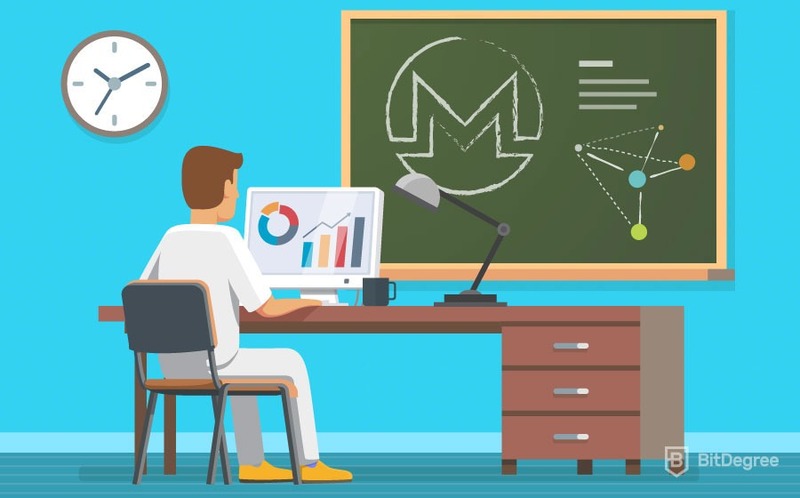 Another big development in 2018 was the MoneyGram/Ripple partnership. The use of XRP as a cross-border payment processing system along with Ripple’s payment processing technology will improve international cross-border financial payments. MoneyGram, the world’s second-largest money transfer company, will use the new technology to help use XRP as an instant method of settlement (meaning quicker transfers to friends and family overseas). These are just three developments Ripple lined up in 2018. There are discussions and pilot projects with Saudi Arabian and UAE central banks, projects with the Bank of England and others. Ripple is also set to partner with more European and Latin American banks to help promote both XRP and Ripple’s payment technology. These developments could lead, as the experts above pointed out, to big price rises in the XRP token price. So this means, the Ripple price prediction should go the positive way. The partnerships with central banks, financial corporate giants and banks all point towards Ripple’s innovative technology and the possibilities it may bring to these businesses. However, it is the ‘possibilities’ bit that is the problem and might have a negative impact on the Ripple price predictions. The professional experts above all pointed out that ‘trials’ and ‘pilots’ are a great display of potential (it could change the way we all use bank transfers). But unless it actually changes something, it hasn’t been disruptive enough. Crypto is meant to be disruptive (It is meant to smash the centralized banking system). With no major changes, Ripple’s value could suffer. Another pressure point on Ripple is the total market circulation of 100 Billion XRPs. This is a lot more than, say, Bitcoin’s 21 million maximum. The rarity of Bitcoins over the oversupply of XRPs will always place big price pressures on XRP’s overall value — see below for a chart showing how supply has grown since Ripple was launched. However, Ripple is very different to Bitcoin, as Bitcoin is just a peer-to-peer payment system with the purpose of decentralizing global finance. Whereas Ripple specifically caters to banks by providing cross-border blockchain payment technology and is less decentralized than Bitcoin is. Overall, there is no denying that Ripple’s 2019 looks positive. I believe that once faith and confidence are restored in the cryptocurrency market in general, then Ripple’s XRP coin could return to the $2-3 dollar price we saw at the start of the year. The next section will recap what’s good and what’s bad about Ripple. We are doing this so you can understand the advantages and disadvantages of XRP as an investment. Is Ripple a Good or Bad Investment? The million-dollar question (hopefully! ): Is Ripple a good or bad investment? In order to understand this, we need to understand what’s bad about Ripple and what’s good. Let us start with the positives. The biggest positive of XRP is that it is actually being used by real companies – household names – worldwide. Transaction times are much lower than Bitcoin, Ethereum and Litecoin. As the above graph shows, XRP has a 4-second payment settlement timeframe. This is faster than Ether’s 2+ minutes, way faster than Bitcoin’s 1hr+ (pre-SegWit – a Bitcoin system upgrade) time and a lot faster than traditional bank transfers (which can take up to five working days). Transaction fees are incredibly low – 0.00001XRP (which is less than $0.00023). In comparison, Ethereum has an average transaction fee of $4.34. Bitcoin has an average transaction fee of $7.92. Litecoin, has the lowest rival transaction fee of $1.22. It is a reputable cross-border payment format (rivaling fiat as in the case of MoneyGram) used by big money transfer services. Ripple goes against the values of cryptocurrency. They’re meant to be decentralized so that no one company or organization has total control, but Ripple Labs are holding over 50% of the entire Ripple XRP supply. So this can have a negative impact on the Ripple price prediction. There are queries about the price manipulation this level of XRP holding could do to the overall price (they could dump a large portion to depress prices to buy back a bigger stake). The consensus ledger approach is also different from the normal Bitcoin standard. Ripple requires “validated” participants to verify transactions. On the Bitcoin network, anyone can set up a node and verify transactions. On the Ripple system, only pre-approved participants can run a node and verify Ripple transactions. This is another form of the central authority that Ripple Labs have. Ripple’s primary goal is to sell its transactional technology. XRP is just a secondary part of Ripple’s activities. Overall, Ripple doesn’t play by the traditional crypto rules — it has a centralized ownership structure. Also, Ripple’s long-term focus isn’t on XRP, but the payment tech itself. However, it has low transaction costs and quick transaction times. It also gives you the ability to use XRP through trusted financial brands, which may appeal to some people as a sense of credibility. What will 2019 do for the Ripple price prediction? Will any of the Ripple price predictions 2019 be correct? We’ve outlined Ripple developments and what key pundits are saying, along with information about Ripple, and made some predictions. Overall, my findings regarding Ripple have been positive! They’ve made some huge partnerships, they’ve got large global banks testing their tech, and they’re clearly working hard to deliver their promises. My prediction, as I mentioned earlier, is that Ripple will bounce back to its high of 3+ dollars per XRP. BUT, I believe it relies on faith and confidence is restored in the entire crypto market first. Even so, it’s important to remember that this is just what it says it is — a prediction. You must always keep in mind that it is nobody can predict the market. It depends on so many different things, and no one, to my knowledge, can see into the future. Therefore, never take a prediction as fact! Oh, and never invest more than you can afford to lose. If you have a Ripple Price Prediction 2019 of your own, be sure to let me know! I’d love to hear your thoughts. I think your right, $3 by the and of the year.